Outdoor living areas are designed to provide an inviting, comfortable space where you, your family and your guests can relax and spend time together. Unfortunately, there are some things that can make these areas less appealing, such as unwanted smells, pet hair and insects. But you can easily and quickly freshen textiles, ward off bugs and deter animals from sleeping on your patio cushions with little more than a spray bottle, water and a few essential oils. To help make sure your entertaining spaces are always guest ready, here are five essential oils that can improve your outdoor living areas. Cedarwood oil should be one of the first you add to your collection if you have issues with snails, ants or a variety of other pests in your garden or in your outdoor living areas. Dilute several drops of cedarwood oil in a spray bottle filled with water, and then spray this mixture liberally in areas frequented by ants or on plants that snails and slugs are eating. This can be particularly helpful in keeping ants off of your picnic table and keeping your patio container garden looking vibrant and healthy. You can also burn candles made with cedarwood oil to help keep ants and other pests away from entertaining areas. You can spray your dogs’ outdoor beds with this mixture or mix a few drops of cedar oil into their shampoo to help ward off fleas. This will help keep your pets healthier and happier while also helping to protect guests from flea bites when petting your furry friends. If your patio cushions are a bit musty from being in storage or are a favorite bed for your furry friends, you can freshen their smell with lavender essential oil. If unwanted aromas are an issue, fill a spray bottle with vodka, add several drops of lavender (or your favorite scent) and spray your cushions and other textiles. The vodka helps neutralize odors while the essential oil will add an inviting fragrance for you and your guests to enjoy. 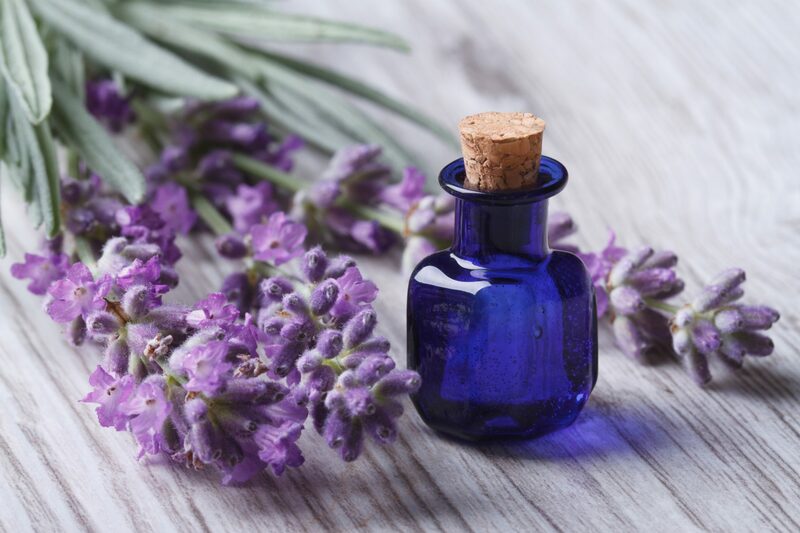 As an added bonus, lavender can also help ward off mosquitoes, so spraying it liberally in your outdoor entertaining areas can help protect you and your guests from bug bites. You can also burn lavender candles to help ward off mosquitoes and other pests – just make sure the candles are made with real lavender essential oil and not fragrance oil. If your neighbor’s cat likes to sleep on your patio cushions, mark your outdoor living areas or leave unwanted presents on your patio, you may want to add rosemary to the essential oils you keep on hand for backyard use. Fill a spray bottle with water, add several drops of rosemary oil and spray the mixture liberally around your outdoor living areas or any other spots you would like to protect from cats. Peppermint is another oil that has so many uses inside and outside of the home that you may always want to have some on hand. 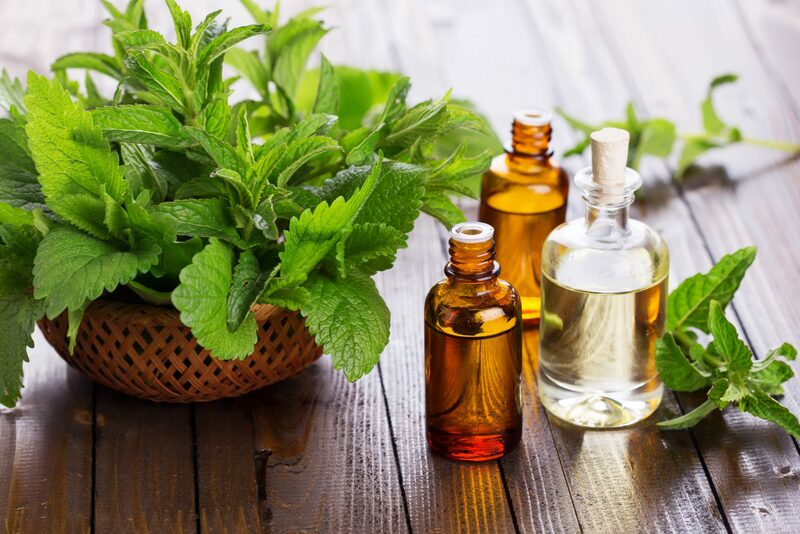 For your outdoor living areas, peppermint oil can provide an effective deterrent for flies, mosquitoes, gnats, moths and other pests that might try to ruin your party. You can soak strips in water with several drops of peppermint, and then strategically hang them around your patio or, for a more inconspicuous option, you can add several drops to a water-filled spray bottle and spray the area. Small spray bottles filled with homemade insect repellent that combines peppermint, rosemary and clove oils diluted in water make functional party favors that your guests will really appreciate at your next outdoor dinner party. Along with peppermint oil, lavender oil and a handful of others, cinnamon oil can be an effective way to keep spiders out of your outdoor living areas. Add several drops of cinnamon oil to a spray bottle filled with water and spray areas where spiders like to hang out, such as in the corners of canopies, under patio chairs or along the eaves of your house. The added bonus here is that your patio will have the warm, inviting smell of cinnamon to welcome your guests. Which essential oils do you use to make your outdoor living areas more enjoyable? Let us know in the comments below. Note: If you are not familiar with working with essential oils, it is a good idea to do a bit of research before using them. Some oils can cause skin irritations or should not be used by people with certain health conditions.